Another jumble package of basement recording throwaways and no-fi nosedives. 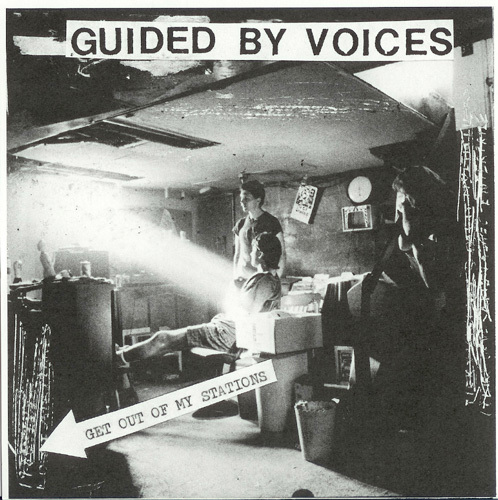 Pre-press darling GBV dropped another EPs worth of material following their early '90s prolific run. These experiments yielded a few memorable moments, including live favorite "Melted Pat." Released in '94 on Philadelphia lo-fi punk label Siltbreeze, the 7'' is divided into "This Side" and "That Side." The label later released the EP on CD in 2003, including 4 live, roughly recorded bonus tracks. Scalding Creek- 4 Electric strums over camp-fire sing along vocals. Eerie and melancholy, complete with Jim Pollard noise guitar blast. Mobile- 2 Thin, boombox guitar with Pollard spitting some amped up nonsense over it. Rough, angry, and most likely drunk. Melted Pat- 4 A simple, catchy skeletal structure of a big rock song. Fill in the blanks in your mind. Lead guitar picking in the second verse alone is worth the listen. Queen of Second Guessing- 1 Acoustic guitar, amp buzz accompany altered vocals wavering in and out. Floor tom roll. I think I’ve covered the whole song. Dusty Bushworms- 3 Rather unremarkable acoustic song. Lonely and distant, basement background stuff. Not terrible, but nothing to wake mom up for. Blue Moon Fruit- 1 Unintelligible vocals, guitar, blah blah. Not much of anything all at really except for the patchwork drum plod. Nope. I like to listen to a lot of GBV ep's on certain weekend mornings because they tend to mirror my frame of mind--hungover, still half-asleep, unfocused. This ep is one of many go-to listens for me on mornings like that. You should give Dusty Bushworms a bit more credit maybe... that’s a truly beautiful Pollard ballad. And what a great title. A strong 4 for me.